The European Commission wants free wi-fi to be provided in public spaces across its member states within four years. 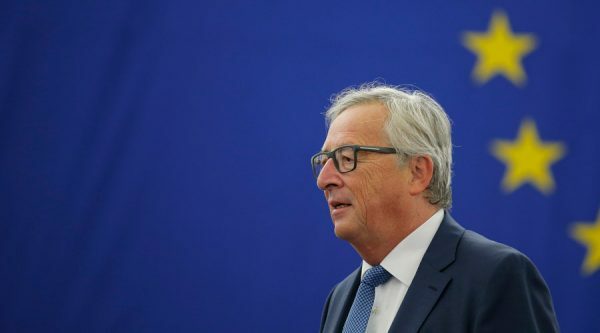 The goal was announced by the president of the European Union’s executive body, Jean-Claude Juncker, in his annual state of the union address. He also wants at least one city in each EU country to have deployed a 5G mobile network by 2020. However, one expert cast doubt over whether the public would benefit. European officials have struggled to deliver an earlier promise to abolish mobile roaming fees. The new pledges may not apply to the UK because it may have quit the EU before the end of the decade. Mr Juncker said digital technologies were “permeating every aspect of life”, so everyone should be able to get online. A factsheet for his Wifi4EU plan states that it applies to parks, squares, libraries and public buildings. However, it makes clear that the commission plans to spend a maximum of €120m (£102m) to install the necessary equipment, and that local bodies will have to cover subscription costs, maintenance and other expenses. Mark Newman, chief analyst at the telecoms consultancy ConnectivityX, said: “€120m doesn’t sound like a huge amount of investment. “In many towns and cities, people can already find free wi-fi on the High Street. Mr Newman said the 5G pledge was also less impressive than it sounded. “The 5G standard itself won’t be ready until 2018,” he said. “And I can’t see any spectrum licences being allocated until the next year or the one after that. “So, the only deployment in 2020 would be in highly targeted areas – something like a shopping precinct or Trafalgar Square. The EU’s digital economy commissioner backed his president, suggesting the targets would help focus minds. “Europe has the ambition to lead on the deployment of 5G,” said Gunther Oettinger. The European Commission has faced criticism of its handling of a promise to stop its citizens being charged roaming fees when using their handsets in a different European country to their own. The executive first proposed the idea in 2013. But when it published a detailed plan, earlier this month, it said there should be a 90-day limit to the commitment. Its intention was to prevent people living in one country buying a plan from another to cover their day-to-day use. But the move caused a backlash, and last week Mr Juncker called for the scheme to be rethought. “The draft was not technically wrong,” Mr Juncker said in his state of the union address. “But it missed the point of what was promised. “And you will see a new, better draft as of next week.